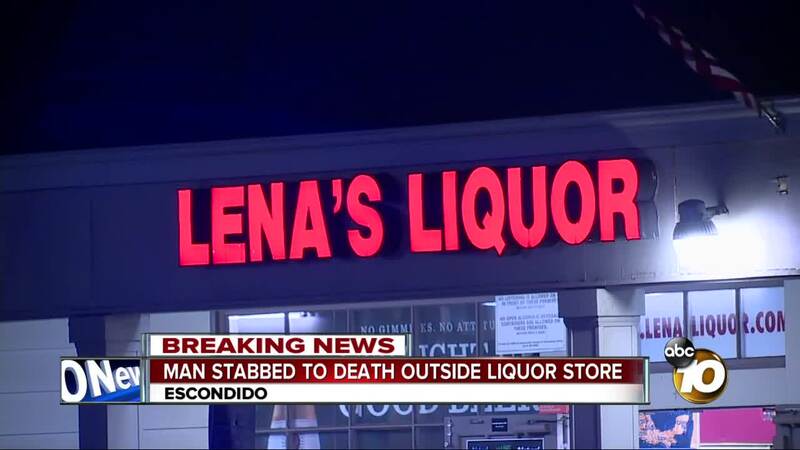 Escondido Police are searching for a suspect who stabbed a man to death outside a liquor store Tuesday night in Escondido. Matt Boone reports. ESCONDIDO, Calif. (KGTV) - A 19-year-old man was stabbed to death during a fight in an Escondido neighborhood Tuesday. Escondido police officers were called to the area of Washington Avenue and Ash Street, near Lena's Liquor, at around 7:20 p.m. to respond to a report of two men fighting. When officers arrived, they found Alfredo Manzano with a stab wound to his chest. Officers treated Manzano until paramedics arrived and took him to the hospital. According to police, Manzano died from his injuries a short time later. A description of the suspected attacker was not immediately available. Police believe the incident is gang-related. Anyone with information on the incident is asked to call Escondido police at 760-839-4756.